Scuba Diving Lighthouse is always a treat. It is located off the island of Lanai which provides some of the better dive sites in Maui County. Lighthouse is a great dive site that is not visited often due to the distance from Maui. I dive this site with Lahaina Divers, my favorite dive shop on Maui, usually on a drift dive charter that runs each Thursday. Check out Lahaina Divers, dive schedule for more information. It is about an hour around to this site from Lahaina Harbor and it is usually a nice boat ride, but the channel between Maui and Lanai can be rough so if you are prone to sea sickness, make sure to take Bonine, ginger, use the patch, etc., before you get on the boat. This scuba diving site gets its name from a structure on shore that resembles a small lighthouse. The site has a number of large boulders strewn around the bottom and has a wide variety of marine life. 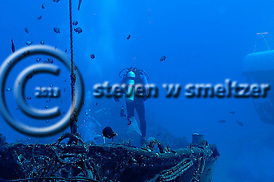 This scuba diving site can get blown out by wind and current and be very cloudy. However, the boat captain and dive master will check out the conditions prior to getting in the water. The conditions today were great. The sea was very flat, the current was quite mild and the visibility was 100+ feet. You can typically see smaller White-tip Reef Sharks, a wide variety of butterfly fishes, Triggerfishes and much more. Make sure you check in the cracks and crevices where you can find octopus, a wide variety of eels, crabs, shrimps and other small marine life. 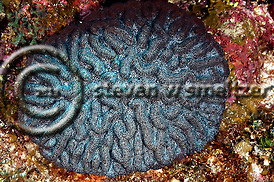 The hard corals here are also in good shape as they get a lot of nutrient and not many divers on the site. Scuba Diving Lighthouse is a treat if you are going to be on the Maui for a few days. I usually dive on Lanai two or three times during each trip and Lighthouse is often the second dive on Lahiana Divers’ Lanai drift dive. 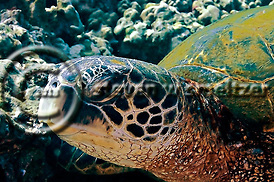 Check out my website for more underwater photographs on Scuba Diving Lanai and follow me on Facebook and Twitter. Ahhh… Hawaii. Back on the island of Maui and looking forward to some great diving. The day began with a short ride over to the island of Lanai for our first dive at First Cathedrals. I am diving with Lahaina Divers, my favorite dive operator on the island. I have been diving with them for almost 10 years and they are a great choice for scuba diving Lanai. First Cathedrals is a lava tube that rises to the surface of the ocean. As the name implies there is a large underwater dome inside the lava tube with a number of openings where light shines down into the “cathedral area”. This is one of the most popular sites for scuba diving Lanai and even though I have been on the site dozens of times, I still thoroughly enjoy the dive. The entrance into the lava tube looks small and dark, but the interior is quite large. The “cathedral” measures approximately 60 feet in length and the height varies from 10 feet to 40 feet. If you have ever been to a church or cathedral with stained glass windows, you probably noticed the light shining through the glass as you entered the chapel or sanctuary. This dive site gets its name from a similar effect caused by the light shining in through the holes in the lava tube, e.g, the stain glass windows. Another interesting feature of this dive site is the exit from the lava tube. It is fondly know as the “shotgun”, because when you exit, the surge may “shoot” you out of the cathedral as you surf the pressure wave. If the wave action is strong, it reminds me of what it must feel like to be “flushed”. But don’t worry; the exit is wide and I go through it with my camera with no problems. If you are concerned about exiting this way, just let your dive master know and you can exit via the way you came in and just circle around the pinnacle to meet up with your group. This site also has several other interesting lava formations off the main lava tube and a variety of marine life. First Cathedrals has been the site for numerous underwater weddings and proposals and it is a great place for underwater photography. To get the best photographs, it is important that everyone going into the “cathedral” is careful not to stir up the bottom or you will get a lot of backscatter in your photos. In order to get the best lighting effects, I check the forecast to see when it is going to be sunny and then compare that to the Lahaina Divers’ schedule. You can get the best photos when it is sunny and you can see rays of light coming through the holes in the lava tube and shining down inside. You can frequently see turtles, dolphin, eagle rays, sharks and wide variety of fish, eels and coral on this dive site. 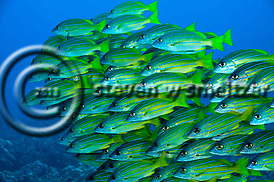 Please check out some of my other photos of First Cathedrals and underwater photography of Hawaii on my website. Candy Cane Shrimp off the Sheraton reef on Maui. 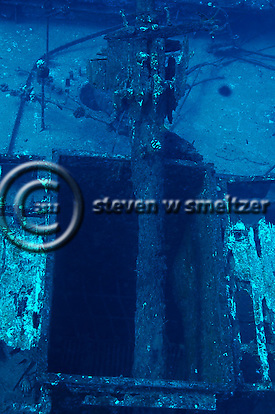 I shot this photo on a night dive at about 40 feet. The image was taken with a Nikon D90 using a Sigma 17-70 macro lens on a Nikon D90 zoomed to 70mm. I love night dives. This is the opportunity to see many marine species that you do not encounter during the day. It is also a chance to see how the reef both sleeps and hunts. Moray eels prowling the reef. Turtles wedged between rocks to sleep. Sharks on the prowl. It is a wonderful experience. The Candy Cane Shrimp is a colorful shrimp that inhabits the reef and can provide some very interesting photographs. I like the way the shrimp’s eyes reflect the reef. They seem to be somewhat curious and alien. 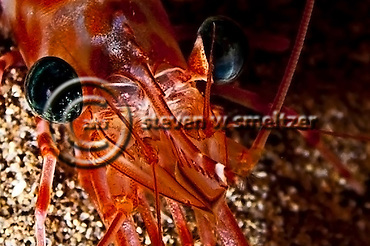 In fact, the eyes of marine life make very interesting studies and provide great subject matter for photographs. 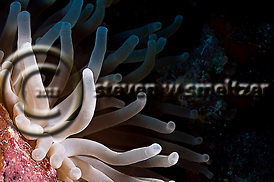 Check out other marine life photographs on my website. When you are diving, especially in new locations, it is great to have a dive guide and especially one that knows the local area well and also understands the diving environment. When traveling to various locations around our planet, in search of that ever illusive photograph, I actively seek out local dive professionals that can help me get to those “great” spots and who can also help me understand the local conditions and what to expect on the dive. There are almost always a number of dive operators in every location from which to choose. So invest a little time to find out about local operators before your trip. In Maui, there are a number of good companies to choose from when you dive so I thought I would profile a great smaller company that highly tailors your dive based upon your level of experience and your goals for the specific dive and your trip. In2Scuba provides a little more personal touch as a smaller company, check out their website here – In2Scuba. This shop is located in Lahaina and is run by Ty Burnett. Ty has been diving in Maui since 2001 with various dive companies until he decided to branch out on his own. Ty is both a skilled instructor and dive guide and also an underwater photographer (a man after my own heart). Ty can provide a highly tailored dive experience and excels at providing excellent shore diving experiences. Remember dive conditions change very rapidly and constantly so whether you dive with In2Scuba in Maui or not, please at least consult with a local company regarding conditions before you hit the water. You will certainly benefit and it will help ensure your diving is safe and enjoyable. – Experience: This is the most critical criteria that I look for in a dive operator. I rate experience not just by num ber of years diving but also by the attention to safety given by the instructor prior to each and every dive. I know those “briefings” can get a bit boring but they are extremely important. So pay attention…you never know when you might have to react to an emergency situation. – Knowledge: This is another key criteria for me as I want a dive guide to be at least somewhat knowledgeable regarding the marine species that we can potentially see. They should know the habits of marine creatures in their area and how to best approach these creatures so we can enjoy them but also so we do not cause additional stress to the animal. For example, I hate being on a night dive and the guide is shining his or her light directly on everything in site and causing tremendous stress on the animals and resulting in a poor experience for the diver and the creatures being observed. I don’t expect every dive master to be Jacques Cousteau but I do expect at least a minimum level of training. I should not have to lead the dive guide. – Equipment: If you are renting gear this is also an extremely important criteria. I carry my regulator and camera gear everywhere. My BC, Fins, Wetsuit are non-essentials and can be rented reliably and usually fairly cheaply in most dive locations. – Boat (s): This is an important criteria if you are going for locations that require a boat trip. There are many sizes of boats used by operators with various capabilities. I have been diving out of dug-out canoes in Indonesia, to luxury dive boats in Australia and Hawaii, to pontoon boats in the Caribbean. I had good diving experiences from each (even from the dug-out believe it or not). A key is the “captain” and crew and their relative experience, the level of maintenance on the boat and their attention to detail, yes it is a good idea to count the number of divers before and after a dive. Number of divers: This is also a key criteria as I do not like to dive with “a herd”. Especially when I am shooting, having to large a group of divers can cause conditions to deteriorate considerably and waste my time. So if I am diving with larger groups, you want to make sure that they divide the groups into manageable sizes and by level of experience. Typically the more experienced divers will be in the water first. This helps to maintain conditions and also makes it more realistic for a guide to effectively manage their group. There are other considerations that I look at as well when going to a new place to dive and one of the other key requirements would be location. I need a dive operator that is at least relatively close to where I am going to be staying as I don’t want to spend hours on the road each day just getting to the “shop”. I hope this helps you in determining with whom you would like to dive and remember if you are heading to a specific location and would like a recommendation, just ask and I will see if I can help. We began a two week look at Maui, Lanai and Molokai reefs with a visit to Turtle Reef on Maui which is located outside and to the south of the harbor in Lahaina. The name of this reef actually refers to a general area of reef on the western side of Maui from just past the harbor in Lahaina to Ukumehama Beach State Park (also know as Thousand Peaks). This large area of reef has many dive spots and is relatively shallow with most of the dive under 35 to 40 feet. This is a great spot for chilling and the reef is in very good conditions in most areas. This site is popular for refresher dives and for completing the basic dives required for scuba certification. The site can be a bit cloudy if the seas are choppy or you have a large swell, but for the most part visibility is reasonable and it is a good place to see a wide variety of Hawaiian marine life. This site can be accessed from boat or shore. The trip fro the harbor is just about 10 minutes so an easy ride and a great way to spend an afternoon. Up later in the week are dives on Molokini Crater, Lanai, other areas of Maui and Molokai (looking for those Hammerheads). If you are heading to the islands this year for some fun in the sun and places to dive there are several great spots to consider. There are a number of top Hawaiian Dive sites to visit and some of my favorite spots are on Lanai, Molokai, Maui and the Big Island of Hawaii. If you are an advanced /experienced diver definitely head for Molokai and Fish Rain. This is the place for Hammerheads and a beautiful pinnacle that literally “rains” fish as you look for the elusive Hammerhead sharks. On Maui, there are several good places but two of my favorites are Molokini Crater and Mala Pier. You can dive Mala Pier as either a boat dive or a shore dive and it is really a great night dive and one of my favorite spots in Hawaii. Easy entry (off the boat ramp) and usually great visibility, always sharks and turtles and great for ambient light photography. On the Big Island you have to do the Manta Dive. Check out the phases of the moon (seriously) before you head out as it seems that the Mantas can be seen more in the waxing and waning phases of the moon. 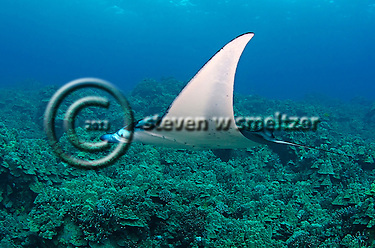 You can also check on daily sitings and help determine when it is your best chance at seeing the most Manta Rays. For information on other dive sites go to my Hawaii Dive Sites page.. and visit my website for images of fish from around the world and reviews of other great dive sites. where water temperatures typically range from 50° to 60° F (10°–15.5°C). The Giant Kelp can also thrive in depths up to 30.5 m (100 ft.) depending upon the clarity of the water and the amount of sunlight available at depth. As the largest kelp species, giant kelp attains heights up to 45.7 m (150 ft.) and in ideal conditions, giant kelp fronds can grow as much as 0.6 m (2 ft.) per day. Giant Kelp provides a perfect habitat for a wide variety marine creatures. These life sustaining structures provide a critical foundation habitat to a number of fish, crustaceans, sea anemones, corals, jellyfishes, sea otters and much more. Giant kelp is golden brown with rootlike holdfasts, long, branched stipes and hundreds of wrinkled blades supported by bulb-shaped pneumatocysts. It is an awesome experience to swim silently amongst these kelp forests as they gently sway with the current. The light is subdued and somewhat distorted amongst the “branches” of the Giant Kelp and resident species of fish dart to and fro. Visibility can range from a few inches to almost 60 feet depending upon the current and waves and whether the bottom is mainly sand or rock/coral. 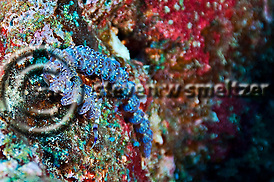 With colorful Gerabaldi swimming around you along with a number of other species this makes a really interesting dive. Although the water temperature is cool to cold and you must wear a 5 to 7 mil wetsuit this is a dive that you should make a least once and if you are lucking enough to live along the California coast or the west coast of Latin America this should be a regular part of your diving. used as a floating museum in the harbor of Lahaina for over 30 years. Remembering the ship floating in the harbor and now seeing her laying on the sea floor just outside of the harbor brings up a certain sense of nostalgia. hard corals that have attached themselves to various portions of the wreck and you can usually find a reasonable variety of marine life on board. with the images I kept coming back to black and white images with good contrast with interesting textures and/or features to bring out the moodiness of the dive site. These photos will go well with whale song form the Humpbacks that you can typically hear if you dive the site from late December up to late April or May. great dive for a long time. The key on this dive as most dives is to go very slow. This is a small sight and while she lies at about 80 feet you still have plenty of bottom time to explore. Let you imagination run away with you and imagine the life of the whaler and the importance of whaling in the development of the Hawaiian Islands. 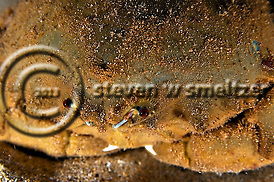 Go to my website and see the Carthaginian II Gallery for a complete photo review of the ship. Manta Ray diving can be an unforgettable experience. These gentle giants are both graceful and magnificent reminders of the wonders in our oceans. Come dive with us off the coast of Hawaii and enjoy these magnificent creatures. Manta Ray diving can be an awesome experience. 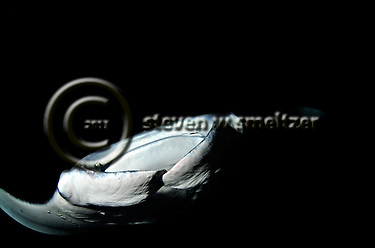 The magnificent Giant Oceanic Manta Ray, Manta birostris, is something special to experience. The largest recorded Oceanic Manta Rays was more than 25 ft (7.6m) across from wing-tip to wing-tip and weighed over 5,300 pounds (2,400 kg). Manta Rays have a short tail and no stinging spine. Manta Rays are very acrobatic and on this dive you will be able to see them perform aerobatic flips and rolls as they glide through the water all about you. Manta Rays were first described by Dondorff in 1798 and named Manta birostris. Other synonyms for Manta Rays include Cephalopterus vampyrus Mithchell 1824, Cepahalopterus manta Bancroft 1829, Manta americana Bancroft 1829, Ceratoptera johnii Müller & Henle 1841, Ceratoptera alfredi Krefft 1868, Brachioptilon hamiltoni Hamilton & Newman 1849, Raja manatia Bloch & Schneider 1801, Manta hamiltoni Hamilton & Newman 1849, and Manta alfredi Krefft 1868. The Manta Ray is one of the largest fishes, and has been know to reach 9 m (29.5 ft) and weigh as much as 1,350 k (3,000 lb). The Manta Ray’s lifespan is thought to be about 20 years. 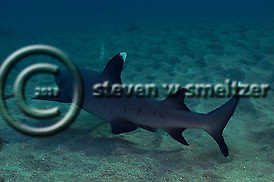 They are close relatives of sharks, which are also one of their main predators along with certain types of whales. They are a close relative to the stingray, but they do not have a stinging tail. surrounding the Caribbean islands or yet someone else may think of aqua-blue water and long sandy beaches surrounding their favorite island or tropical get away. Coral reefs are definitely related to each of these but they are much, much more. While Coral reefs cover less than one tenth of one percent of the earth’s oceans these same reefs are estimated to contain one quarter of known marine fish species (Smithsonian Institute). All three reef types of coral reefs—fringing, barrier and atoll—share similarities in their bio-geographic profiles. Where are they located and How were they formed? What are the different types of Coral Reefs? What types of creatures inhabit them? What are the threats to Coral Reefs? What are the potential impacts of these threats on us from the impacts to our economy, to food supplies, to medicines and more? What if anything should we be doing to help the reefs? So come join in the discovery of our coral reefs and the underwater world that is so amazing and important to each and everyone one of us. Be sure to follow on our continuing series of articles as we explore the amazing world of coral reefs. more species per square meter than any other ocean ecosystem. Creatures of the Coral Reef examines the phenomenal diversity of our coral reefs which are sometimes called the rain forests of the sea. From the microscopic to the gigantic, coral reefs support and nurture a tremendous variety of creatures. These reef systems have been built up over thousands of years by tiny calcium-producing organisms. These Creatures of the Coral Reef have constructed a haven for countless forms of life, some of which seem totally alien in form. It is a “Star Wars” world of bright colors, ever changing patterns and odd shaped creatures that look as though they came directly from central casting. Only on the coral reef can one find living examples from nearly every group of organisms. Scuba Diving on a coral reef gives you some idea about what it would be like to explore another planet. Drifting weightless across this diverse landscape enables you to appreciate some of the tremendous complexity and simplicity that makes up the coral reef. Man has spent a relatively modest effort scientifically exploring the world’s oceans compared to the time and money that has gone into exploring the surface of the Moon and other planets. Yet, the growing and ongoing exploration of our oceans continues to bring the discovery of new species, the identification of different environments where marine life flourishes and a little more understanding of our underwater world. Keys to the Great Barrier Reef in Australia, to the atolls of the Pacific and islands of the Indian Ocean our coral reefs need our help. If we wish to leave a healthy and thriving reef system to our children and their children we need to understand the threats to this amazing environment and understand actions that can be taken to preserve and restore our reefs. These are our oceans and the first step to helping protect coral reefs is education. Come join us as we “dive into” this amazing and mysterious world. See more information on Creatures of the Coral Reef. A dive with the magnificent Giant Oceanic Manta Ray, Manta birostris, is something really special. The largest recorded Oceanic Manta Ray was more than 25 ft (7.6 m) across from wing-tip to wing-tip and weighed over 5,300 pounds (2,400 kg). Manta Rays have a short tail and no stinging spine. They are very acrobatic and you can see them perform aerobatic flips and rolls as they glide through the water. They can even leap (breach) from the water. Manta rays have the largest brain-to-body ratio of the sharks, rays and skates (Elasmobranchii), with ratios approaching what is expected in mammals rather than in fishes. We did two dives one late afternoon and saw 17 Mantas swimming along the reef and then coming to join us for a short time and then on the night dive we had 31 different Manta Rays swimming all around us. The Mantas come to feed on plankton which is attracted to light. The dive operators give individuals flashlights and also place some extra lights in the water and you simply sit in about 35 feet of water as the Mantas “fly” around you. It is certainly a memorable dive. The breeding behavior observed for manta rays is similar to other closely related rays. Copulation occurs near the surface, no deeper than one metre below. It begins with the male chasing the female, for up to half an hour, both often closely followed by a train of hopeful suitors. Such mating trains seem to be triggered by a full moon. The male bites the pectoral fin and then moves its claspers into the cloaca, holding it there for one minute to one and a half while copulation takes place. The developing eggs remain inside the female’s body for possibly as long as 12 months and hatch internally so that she bears live young. The average litter size is two pups, and there is often a two year gap between births. (source – Wikipedia). Adults are easily recognized by their large triangular pectoral fins and projecting cephalic fins, forward extensions of the pectoral fins that project anteriorly on either side of the head. Each cephalic fin is about twice as long as its base is wide. The length of each cephalic lobe, from tip to the mouth, is 14% of the disc width. 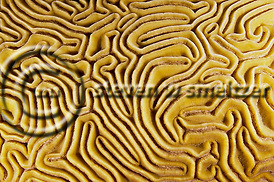 They are rolled like spirals when swimming and flattened when eating. 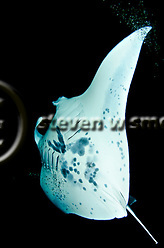 This ray has smooth skin, a broad,rectangular terminal mouth located at the front of the head, and a tail that lacks a spine. I highly encourage you to take advantage of the chance to scuba dive with the Mantas the next time you are on the big island of Hawaii or if you are visiting Hanifaru, a small lagoon next to an uninhabited island in the Maldives or another Manta diving location. It is an awesome opportunity to meet some truly wonderful creatures. The Carthaginian II was once used as a whaling museum in Lahaina Harbor. 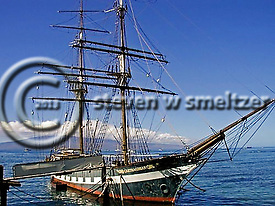 It is a replica of a 19th century brig similar to the ships that first brought commerce to the Hawaiian Islands. The ship was a cement carrier built in Germany in 1920 and rechristened the Carthaginian II. It sailed to Lahaina in 1973 where it took seven years for the historically accurate 18th century whaling ship rigging to be assembled. The Carthaginian II served as a reminder of Lahaina’s nautical heritage and was docked for many years at Lahaina Harbor. The ship was owned by the Lahaina Restoration Foundation which operated the museum on board that displayed relics of Lahaina’s historic whaling days. Although it had no true historical value, the Carthaginian II was one of Lahaina’s most recognizable attractions, featured in thousands of artworks and visitor photographs for over the 30 years. The ship belonged to the nonprofit Lahaina Restoration Foundation, which was spending $50,000 a year to maintain the rusting hulk. When marine engineers advised against further repairs because of the increasing costs, Atlantis was approached to claim the vessel and use it as an artificial reef which would in turn enhance the existing Atlantis submarine tours in Lahaina. 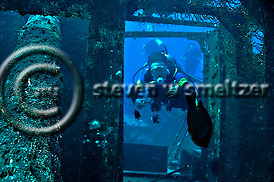 On December 13, 2005, following two years of preparation, Atlantis Adventures sank the Carthaginian off Lahaina, Maui. This created an artificial reef that will have lasting marine life benefits. The reefing took place off Puamana which is just outside the Lahaina harbor. The 97-foot, steel-hulled vessel, sank in 95 feet of water where it will serve as an artificial reef. The first Carthaginian was a replica of a whaling supply vessel used for the 1966 movie “Hawaii,” based on the James Michener novel. The Lahaina Restoration Foundation purchased the wooden boat, but it sank in 1972 on its way to O’ahu for dry dock. The German vessel was acquired and was rechristened the Carthaginian II and after extensive restoration work it served the city as a floating museum for many years. Atlantis spent approximately $350,000 on the Carthaginian II project, including preparation of environmental studies. American Marine Services was hired to handle reefing operation. Before the Carthaginian II was towed from Lahaina Harbor, entertainers from the Old Lahaina Lu’au performed “Aloha ‘Oe” and members of the Lahaina Restoration Foundation placed lei on the vessel and held signs bidding it aloha. To prepare for the sinking, 10 tons of concrete had been loaded on board, adding to the 35 tons of material the boat already was carrying. Atlantis’ small tugboat Roxie pulled the Carthaginian II out of the harbor before transferring the operation to the larger American Islander tugboat. A flotilla of about 20 boats was waiting when the Carthaginian II arrived at Puamana, and spectators lined the shore or pulled over on Honoapi’ilani Highway to watch the spectacle. Kahu Charles Kaupu offered a Hawaiian blessing, and after a 3-ton anchor was secured to the bow and the boat was in position, patches were removed from two sets of holes that had been cut into the hull about 18 inches above the water line. Seawater was pumped into the hull, and 27 minutes later the Carthaginian was headed to the sandy bottom. Observers let loose with applause and whoops of appreciation as the ship quietly slipped beneath the surface. Aboard the Atlantis shuttle boat three air-shattering blasts were fired from miniature brass cannon to mark the occasion. The Carthaginian II lies in about 90 feet of water of the coast of Lahina. It is about a 10 to 15 minute trip from the harbor to the dive site. The Carthaginian II was sunk approximately 10 years ago and now supports a wide variety of marine life. When you begin to descend from the mooring ball you will normally be able to see the outline of the ship quite easily. The visibility is usually 80+ feet and much of the time over 100+ feet. There can be some current on this site so some divers may want to descend using the mooring line. As you descend you will begin to notice more details regarding the ship and the impacts of being on the reef for about 6 years. The main mast collapsed in mid-summer 2011 and can now be seen sitting on the deck. The main cabin roof and walls have deteriorated to some degree and there are numerous holes into the hold. The access to the hold itself is quite large and easily accessible. The engine room and forward compartment is blocked by a gate but you can still get a good variety of photos in this area. 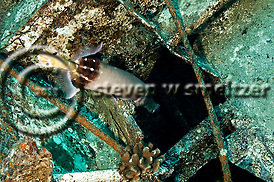 The rear area of the cargo hold is fairly clear and contains a variety of fish species and crustaceans. There are also a number of frogfish on the wreck. 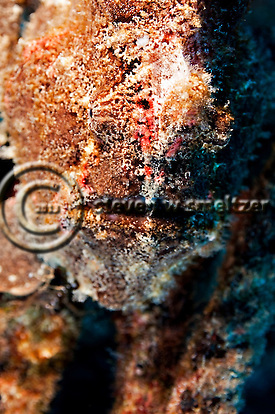 I was able to photograph five different frogfish on my last dive. These fish are extremely well placed for macro photos and can consume a lot of bottom time, but it is well worth the effort. Two frogfish were on the main deck to the rear of the main cabin and three were on the starboard side about the midships area. You will find a wide variety of fish including, Pacific Trumpetfish, Sergeant Majors, Dascyllus, Orangespine Unicornfish, Rainbow Cleaner Wrasse, and many more. This dive is best when there are less than ten divers in the water since the ship itself is not very large. It is a very worthwhile dive and I highly recommend it for your next trip to Maui.